Mucuna pruriens, Velvet Bean, has been used in the traditional Ayurvedic system in India for thousands of years. Dopamine is a neurotransmitter that Promotes enjoyment and interest in life! The Velvet Bean has many traditional and medicinal usages including treating pain, cholera, diabetes, infertility, scorpion bites, snakebites, toothaches, increases testosterone, reduces inflammation, increases libido, kills some parasites, reduces spasms, calms nerves, lowers blood sugar, reduces fever, lowers cholesterol, blood purifier and the list goes on. Different countries use it for different ailments. For instance, Germany uses Velvet Bean for diabetes, high blood pressure, high cholesterol, intestinal gas, muscle pain, rheumatism, worms. Brazil uses it for as an aphrodisiac, diuretic, and nerve tonic, and for edema, intestinal worms. India uses it for cancer, catarrh, cholera, cough, debility, delirium, diabetes, diarrhea, diuretic, dysentery, edema, fertility, gout, impotency, kidney stones, menstrual disorders, nervousness, scorpion sting, snakebite, sterility, tuberculosis, worms, and as an aphrodisiac and uterine stimulant. So, as you can see this is a very helpful and versatile herbal remedy. HHA Velvet Bean Extract contains 15% L-Dopa which is the immediate precursor of Dopamine. Dopamine is a neurotransmitter that promotes enjoyment and interest in life. The 120 mg. of L-DOPA (3,4-dihydroxy-L-phenylalanine) is a compound found in some food and made from L-Tyrosine, which is an amino acid naturally occurring in the human body. L-DOPA is converted into dopamine in the brain and body. DOPA Mucuna provides the body with what it needs to make this important neurotransmitter. Over the years, many members have complained about muscle weakness and loss of muscle mass. In my opinion, this has a great deal to do with the environmental toxins that are causing increased estrogen levels and reducing the testosterone levels. Xenoestrogens are not only in plastics, but its in the hormones the farmers use to fatten up their animals for market - beef, chicken, turkey, pork. These little chemicals also do a number on the immune system in general, setting up all kinds of cancers, and a number of autoimmune disorders, fibromyalgias, chronic fatigue, thyroid problems, multiple sclerosis, prostate enlargement, and the list goes on. Velvet Bean has been well documented in its ability to increase testosterone and stimulate growth hormone (thereby increasing muscle mass). This product, in my opinion, can help balance the estrogen dominance and toxic effects of these environmental pollutants. L-Dopa is used in the treatment of Parkinson disease. Parkinson disease is believed to be related to low levels of dopamine in certain parts of the brain. When dopa is taken by mouth, it crosses through the blood-brain barrier. Once it has crossed from the bloodstream into the brain, it is converted to dopamine. The resulting increase in dopamine concentrations in the brain is thought to improve nerve conduction and to assist in lessening the movement disorders in Parkinson disease. Velvet bean is now being considered as an alternative to the pharmaceutical medication levodopa. In one case study it was given to a Parkinson's patient for 12 years instead of the pharmaceutical L-dopa medication. It was found to slow the progression of Parkinson's symptoms (such as tremors, rigidity, slurring, drooling, and balance), and to have none of the side-effects of the current pharmaceutical L-dopa. Numerous studies also have been conducted in rats and humans. In one human study, the bean powder was given to 60 patients (26 previously treated with L-dopa and 34 had never taken L-dopa). There were statistically significant reductions of Parkinson's symptoms in all study subjects. Several in vivo studies have been conducted on the blood-sugar-lowering effect of Velvet bean. These studies all validate the traditional use of the plant for diabetes. An extract of the seed dropped blood sugar levels in rats by more than 30%. At 200 mg an ethanol extract produced a 40% fall in blood glucose within one month, and a 51% reduction at four months. In other studies a decoction of the root reduced total cholesterol in rats. Velvet Bean is safe and worth a try if you are diabetic. 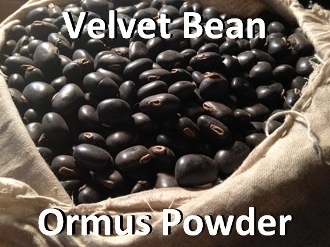 Velvet bean has a long history of traditional use in Brazil and India as an aphrodisiac. Clinical studies in India have validated that the plant does indeed have aphrodisiac activity. It also has reported with anabolic and growth hormone stimulant properties. The anabolic effect of the seed is due to its ability to increase testosterone. In 2002, a U.S. patent was filed on the use of velvet bean to stimulate the release of growth hormone in humans. Research cited in the patent indicated that the high levels of L-dopa in mucuna seed were converted to dopamine which stimulated the release of growth hormone by the pituitary gland. L-dopa and dopamine are also effective inhibitors of prolactin. Prolactin is a hormone released by the pituitary gland; increased levels are considered to cause erection failure in males. In one study, oral intake of the seeds in 56 human males was able to improve erection, duration of coitus, and post-coital satisfaction after only four weeks of treatment. The seed also has documented fertility promoting and sperm producing effects in human males (being able to improve sperm count and motility). The bean has shown significant in vivo antispasmodic, anti-inflammatory, pain-relieving, and fever reducing activities in various clinical research with animals. 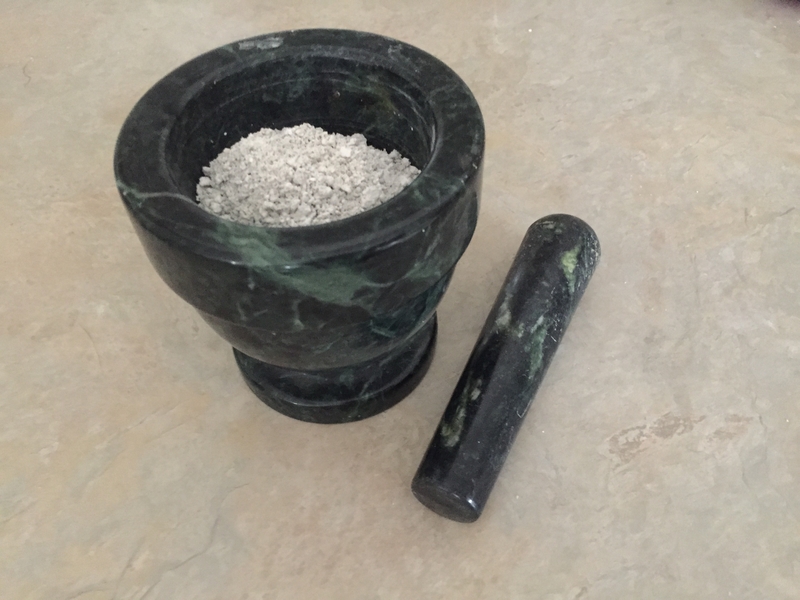 Traditionally the seed has been used by indigenous peoples throughout the world for snakebite and several in vivo studies validate this traditional use. In rats, a water extract of the seed inhibited venom-induced blood and coagulation alterations, and reduced lethality of the venom. The anti-venom effect of velvet bean is thought to be due to an immune mechanism, as proteins in the seed were documented to raise antibodies against the venom. Good idea to put a bottle in the medicine cabinet if you are in an area with potential for snake bites. When we have enough Dopamine we have . . .
We we have Dopamine Deficiencies . . .
Dopamine is widespread in the brain as well as the rest of the nervous system. This neurotransmitter plays a critical role in the control of movement. It has a stimulating effect on the heart, the circulation, the rate of metabolism, and is able to mobilize many of the body's energy reserves. It helps to modulate brain activity, control coordination and movement, and regulate the flow of information to different areas of the brain. A WORD OF CAUTION - It should not be used by pregnant or lactating women because it can lower prolactin and it increases testosterone. Should not be used with MAO inhibitors. Monoamine oxidase (MAO) inhibitors are a class of drugs used for depression and Parkinson's Disease. Be aware that altering the levels of brain chemicals like dopamine and serotonin also affect many other hormones, enzymes, and other chemicals which keep the body in balance. The long-term impacts on healthy humans taking high levels of L-dopa are unclear and warrant further research. It is best to proceed with caution when taking mucuna extracts and to follow the labeled dosages. It is a powerful plant with many biological actions that should be respected. In other words. . . the belief system of some people taking herbals supplements of: "if some is good, more is better," does not apply with velvet bean.